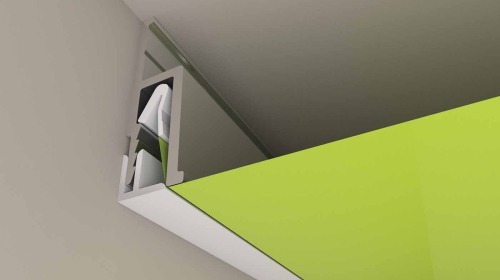 Used in construction with decoration strip for the montage of the stretch ceilings only to the wall. 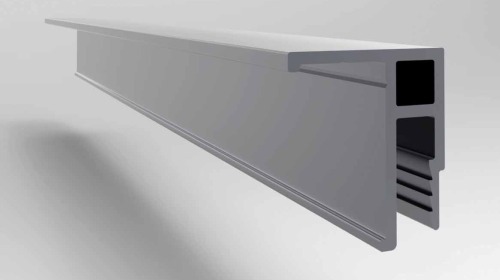 Recommended area for the installation of the stretch ceilings with this profile is 20-25 m2. 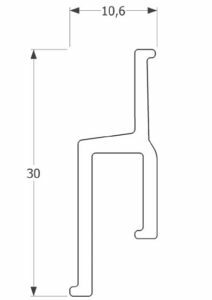 Suitable for the montage of the curved horizontal constructions. 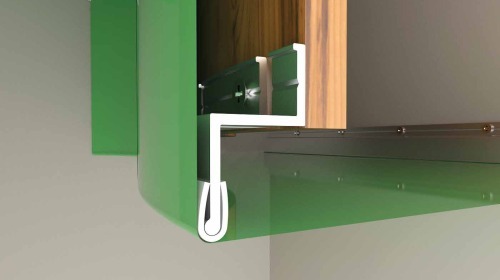 Decoration strip in use highlights defects and irregularities of the wall. 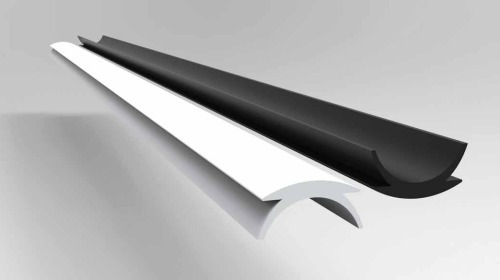 Used in constructions wihtout decoration strip for the montage of the stretch ceilings only by the wall, creating the impression of the ceiling floating in the air. 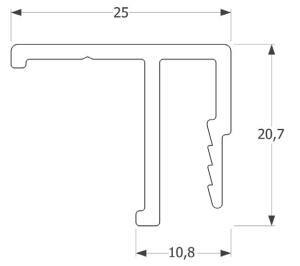 Recommended area for the installation with this profile 20-25 m2. 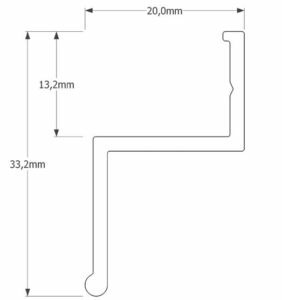 Suitable for installation of the curved lines. 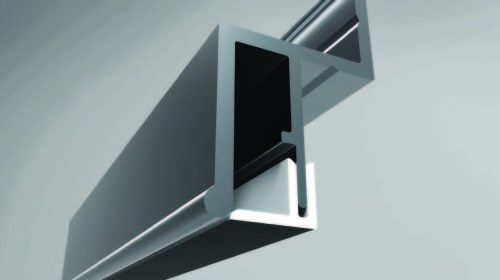 This profile visually reduces the deffects and irregularities of the walls by 1-2,5 mm. 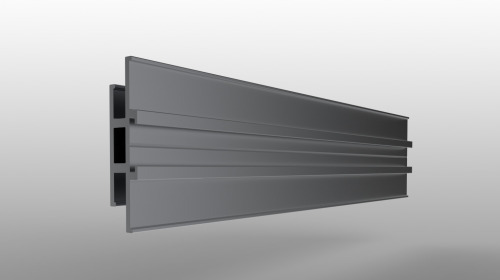 Used in constructions for the montage of the stretch ceilings only to the wall. 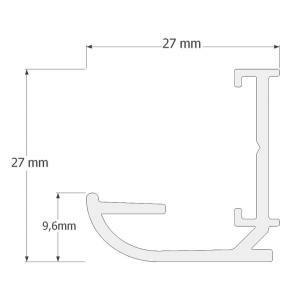 Recommended area for the installation with this profile is up top 30-40 m2. 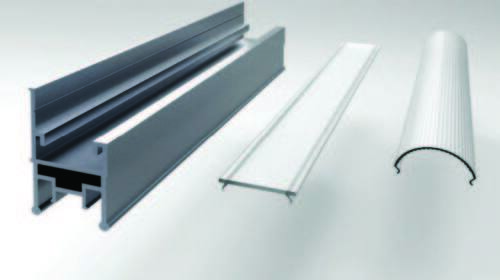 Used in constructions with decoration strip for montage of the stretch ceilings to the wall ans ceiling. 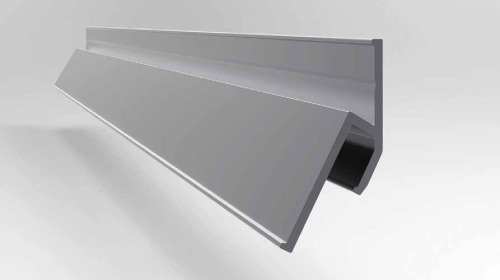 Anodized profile is recommended to use in the rooms with high humidity level (pool, bathroom, spa). 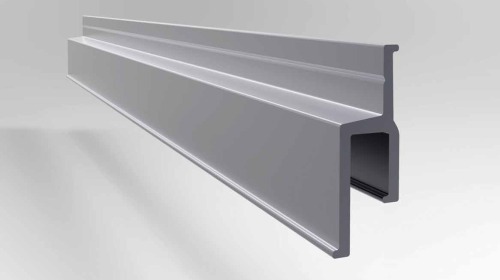 Recommended area for the installation with this profile is up to 50 m2. 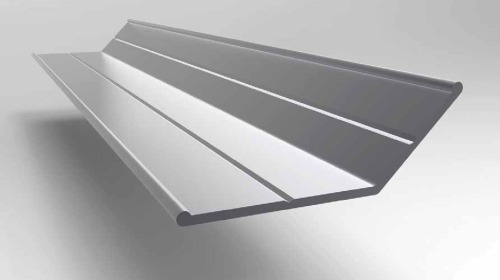 Used in constructions without decoration strip for the montage of the stretch ceilings to the wall or ceiling, creating an impression of the ceiling floating in the air. 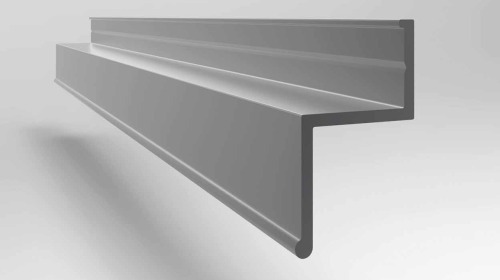 Given profile visually reduces the deffects and irregularities of the walls by 1-2,5 mm. 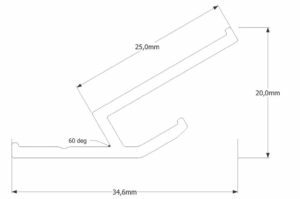 Used in construction with decoration strip for the montage of the stretch ceiling to the ceiling ant in certain cases to the wall. 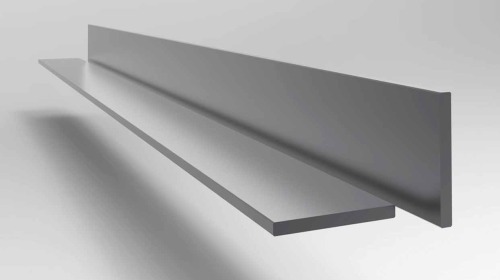 Used in construction without decoration strip for themontage of the stretch ceilings to the ceiling and in certain cases to the wall creating the effect of the ceiling floating in the air. 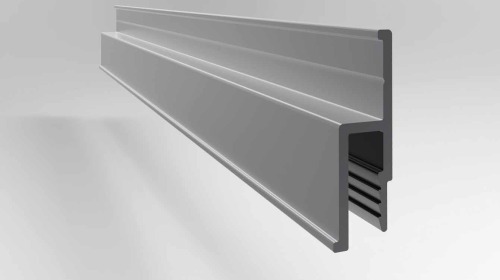 Recommended area for the installation with this profile is up to 50m2. 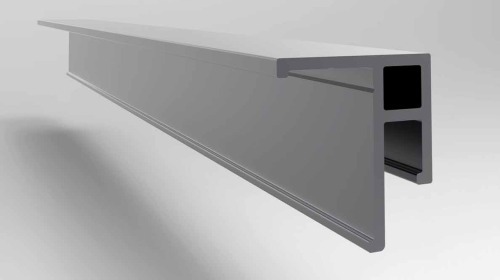 The profile visually reduces the deffects and irregularities of the walls by 1-2,5 mm. 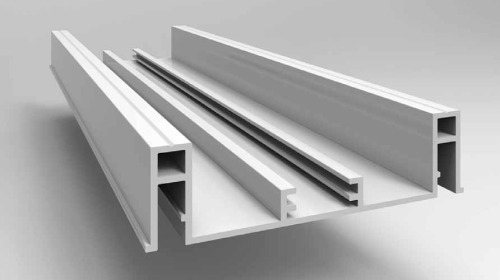 Used in constructions for the montage of the stretch ceiling to the wall and ceiling. 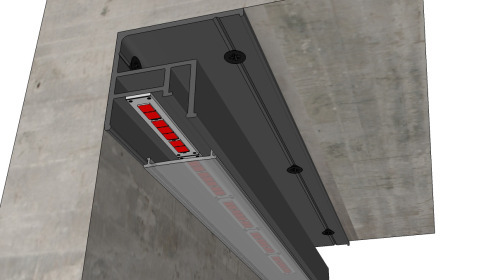 Used to divide the grand areas of the ceiling to the segments, and for trespassing to the second level. 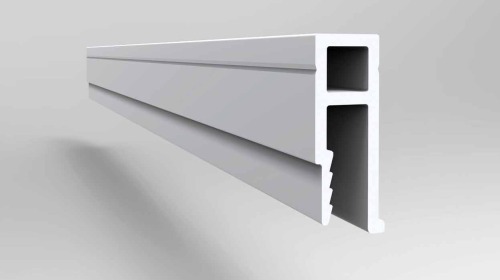 Recommended area for installation with this profile is up to 50 m2. 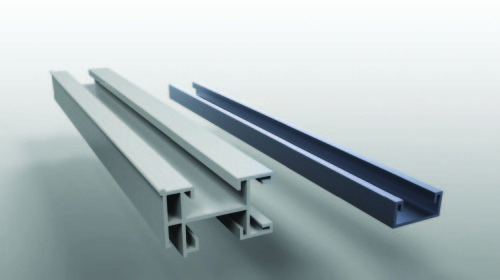 Used in construction with decoration strip for the installation of the stretch ceilings to the wall. 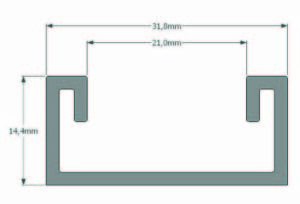 Recommended area for the montage with this profile is up to 50 m2. 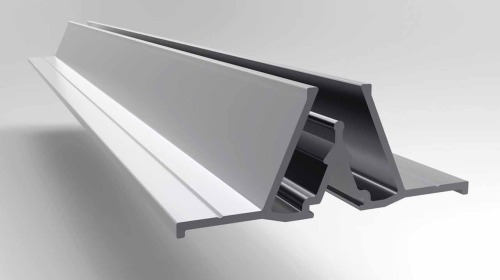 Used in constructions without decoration strip for the montage of the steretch ceiling to the wall. 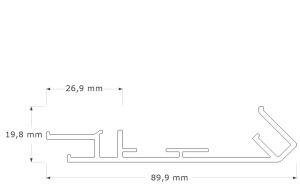 Recommended area with this profile is up to 50 m2. 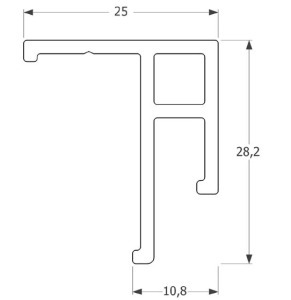 Used in constructions for creation of the rectilinear 3D shapes. 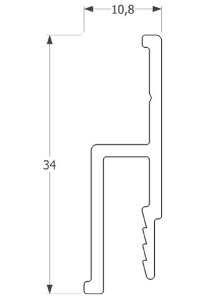 Easily connected with the profiles AL 01 ; AL02 ; AL03; AL05; AL07 and AL11. 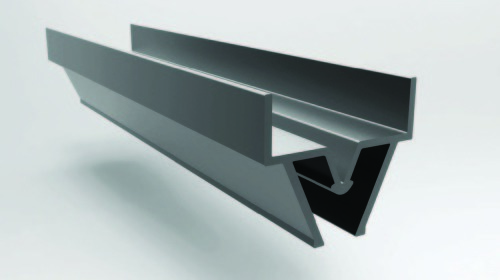 Used in constructions for the montage of the stretch ceilings to the wall or ceiling. 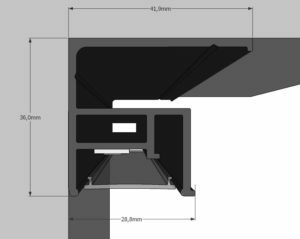 Used for division of the grand surfaces of the ceiling to the segments, and to the passage to the second level, creation of the 3d formes (arc, grotto, dome and wave). 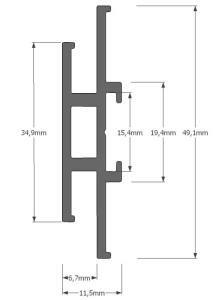 Used in constructions for the mounting of the light stretch ceilings to the wall. 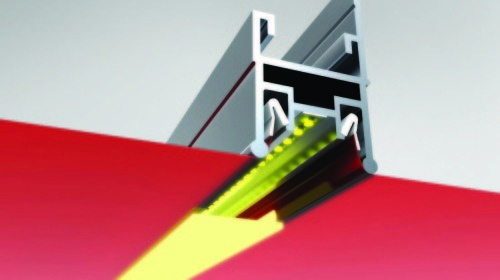 Used for creation of the impression of preforated printed light stretch ceiling. 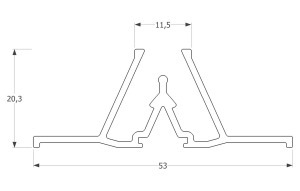 Used to connect and align profiles AL 08 A and AL 12. 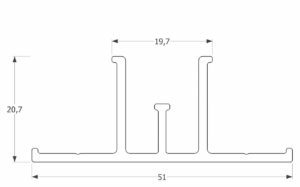 Used in constructions for creation of the curved 3d shapes in horizontal space. 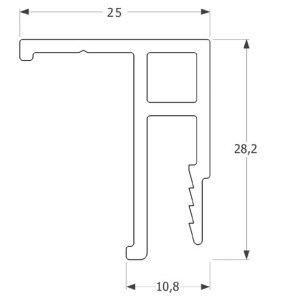 Easily connected with profiles AL01, Al02, AL03, AL05, AL07, and AL 11. Used in constructions for connection of the PVC film, by the utter angle of 90 degrees. 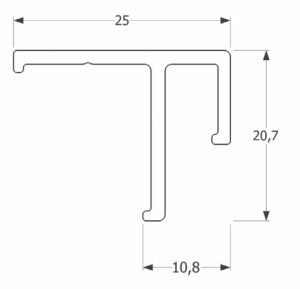 Used in constructions for thr montage of the stretch ceilings, mounted to the ceiling with cables. 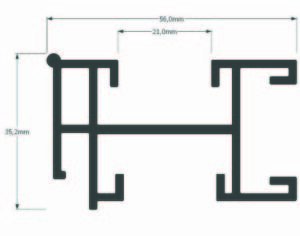 Used for division of the grand areas of the ceiling to segments, and mounting of the lighting units (lamps, fire detectors and etc). 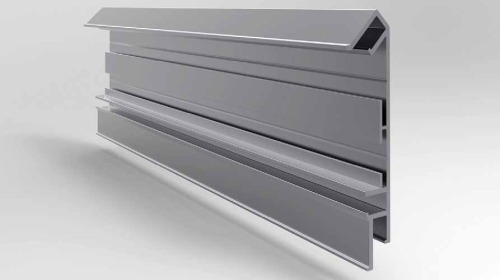 Recommended surface for the installtion with this profile is up to 50 m2. 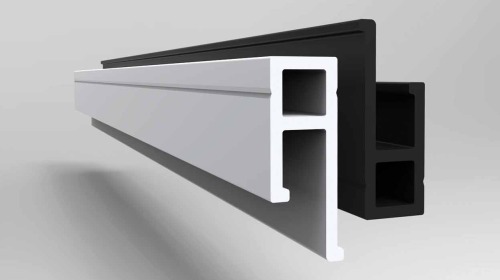 Used in the construction for the installation of stretch ceilings exclusively to the wall. 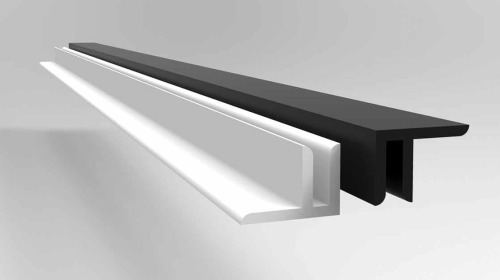 Creates the effect of molding around the perimeter of the stretch ceiling. 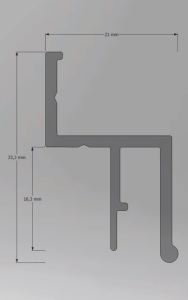 Led strip is mounted to the specially intended space with the width of 15 mm on the back side of the profile. 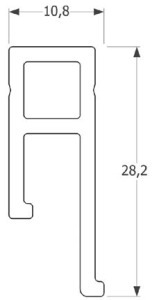 This profile is not anodized. 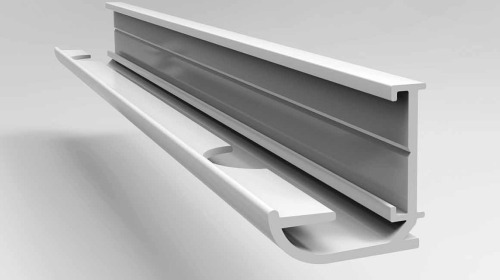 A new separator AL15-A is designed to divide big areas of strech ceilings. 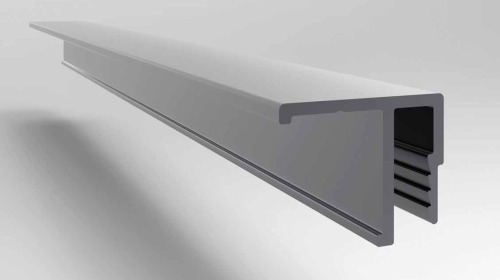 The system of fixation of the AL15-A in comparison with AL03 allows to reduce the shadow of the profile in case of installation big backlit strech ceilings. 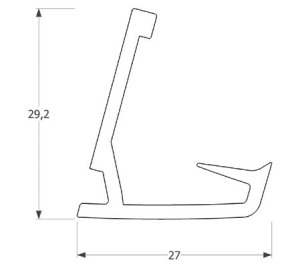 Can be used independently as well with the profile AL17. 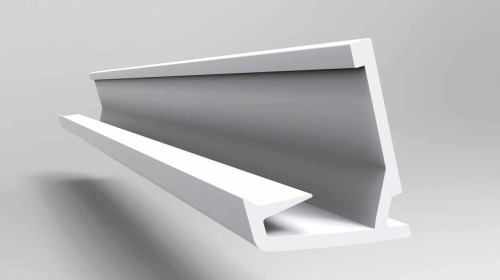 New system of aluminum profiles for construction of 3D-forms. 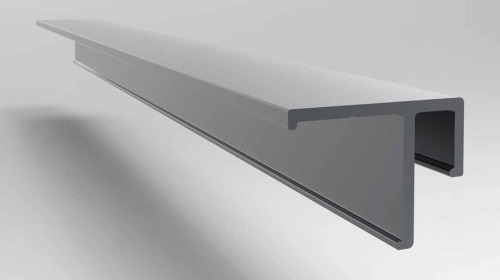 New lighting system VECTA KEY LIGHT developed by VECTA DESIGN is a new solution of combination of integrated LED lighting and stretch ceilings. 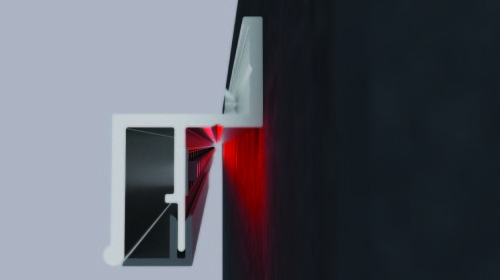 VECTA KEY LIGHT system allows you to create a unique accent lighting effect in interior design. 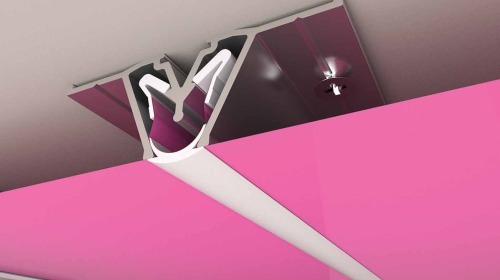 High quality ceiling and fully integrated LED lighting will help you to create one of a kind design. 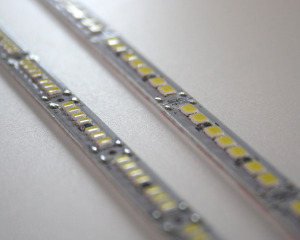 Integrated LED lighting is 30mm wide and can be used in creation of endless glowing line effect. Thanks to the two different types of diffusers you can make a normal lighting as well as scattered. 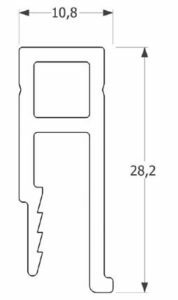 New lighting system VECTA KEY LIGHT allows you to create a design with crossed glowing lines. 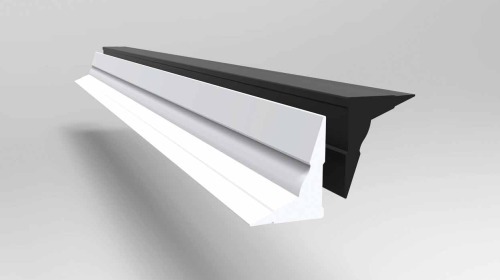 VECTA KEY LIGHT system consists from an aluminum profile AL18, LED stripes and matt opal diffuser. 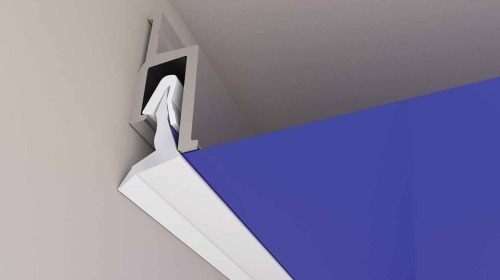 Modern led light sources have a high efficiency and durability of more than 50,000 hours. 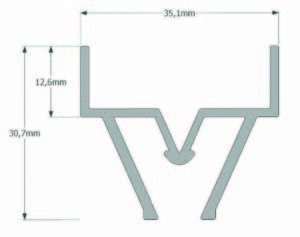 Diffusor is available in 2 options. 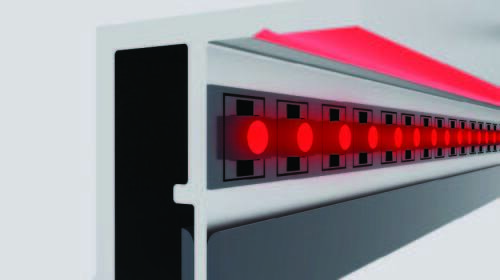 Installed VECTA KEY LIGHT system can be also used for emergency situations as a source of emergency lighting, with emergency power supply integrated LED stripes can constantly work for the next 2-3 hours.